Many older folks have trouble remembering when to take their medication and worry if younger family member might take their drugs. 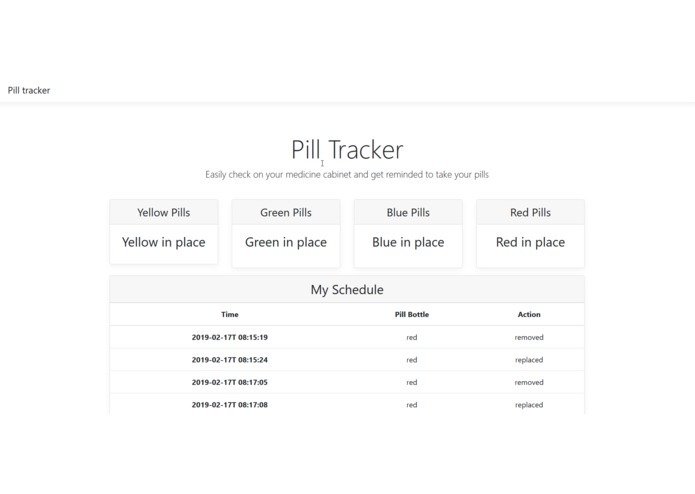 Our project uses machine learning to track when pill bottles are taken and put back into a cabinet. 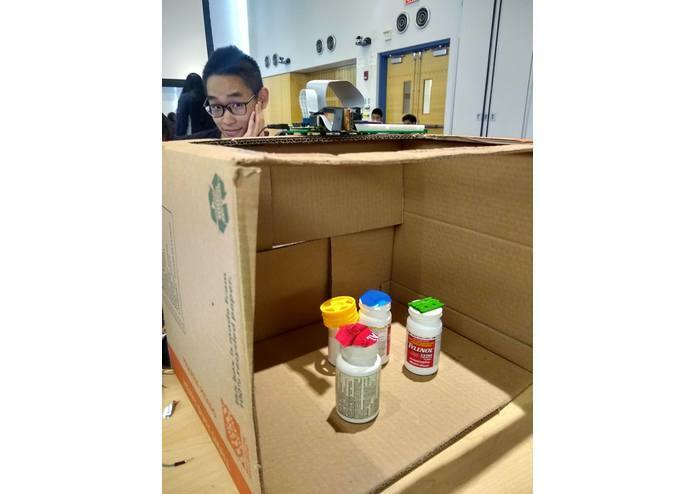 Using a raspberry pi with a pi camera paired with OpenCV and a flask web app. OpenCV literally took 8 hours to install on the raspberry pi and many other frameworks were impossible to get working.